Be Barefoot : Being Healthy and Fit is a LIFESTYLE not just a Fad or Trend. 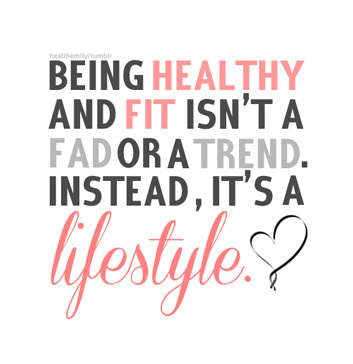 Being Healthy and Fit is a LIFESTYLE not just a Fad or Trend. Have you ever thought about being healthy and fit as a lifestyle? Everywhere you look you see information promoting strong healthy bodies. New gyms and brands like Crossfit are popping up everywhere. Not to mention reality TV like American Ninga Warrior & Skull Buster you have to admit strong & healthy is a trend. Many years ago (911) to be exact I made the lifestyle choice to live a more simple life and work from home on a farm in KS. On our farm live as close to nature as possible, Yes it was a lifestyle choice. Everyday we have choices to make and it defines how we live, our lifestyle and the status of our health is important. No it's not just a fad.